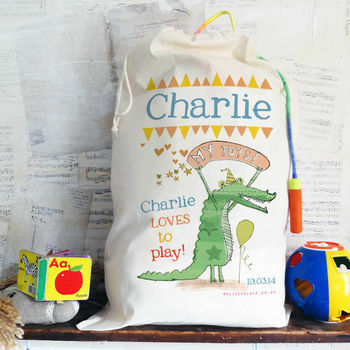 A personalised cotton toy sack. 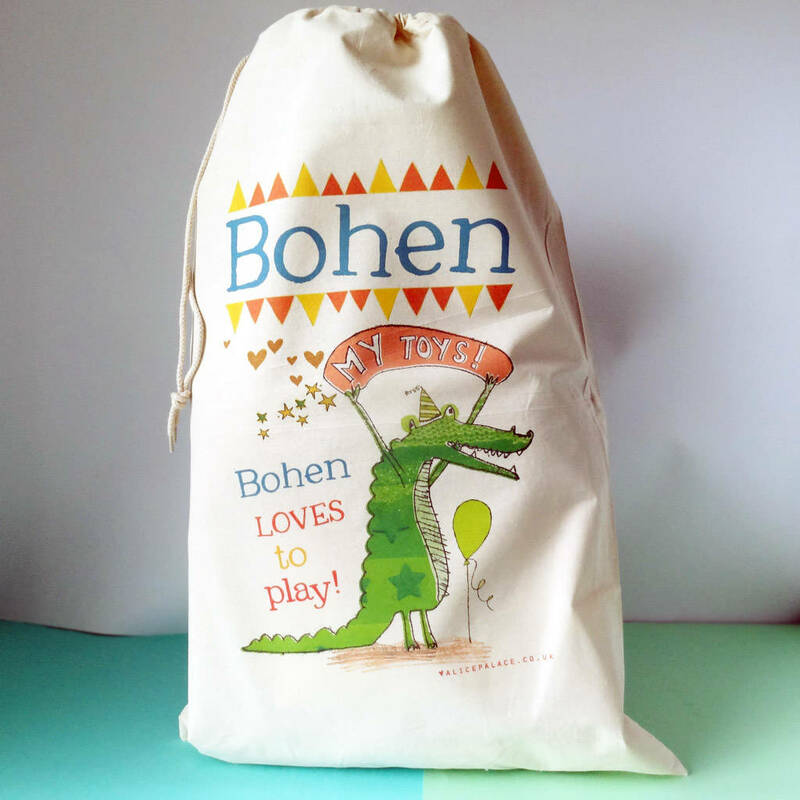 Printed in England, these extremely useful and delightful cotton toy storage sacks are suitable for all ages and will give years of enjoyment. 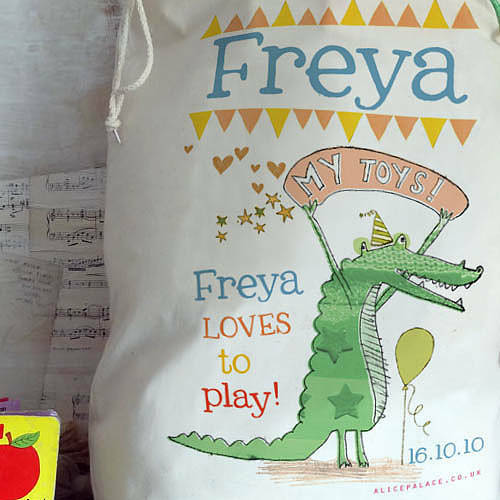 Make tidying up a 'fun' chore with this gorgeous design - Captain Croc loves to help keep a large number of toys safe! Any name can be printed, opt for our standard message '(name of your choice) loves to play', or personalise with a special message and you can add a date which makes them perfect new baby or christening presents. Sized at 50cm x 75cm with a capacity of 38 litres.